I get on really well with this product! I really enjoyed this primer! My skin seems to absorb all make-up within a matter of hours! But this ensured that it stayed in tact for up to 4 (miracle for me)! I really want to try this. It sounds really good. Would love to try it. Sounds like a great product. I bought this primer about a month ago and although I've only used it a few times, I feel like I haven't been convinced one way or the other yet. I guess I was hoping for a miracle product!!! 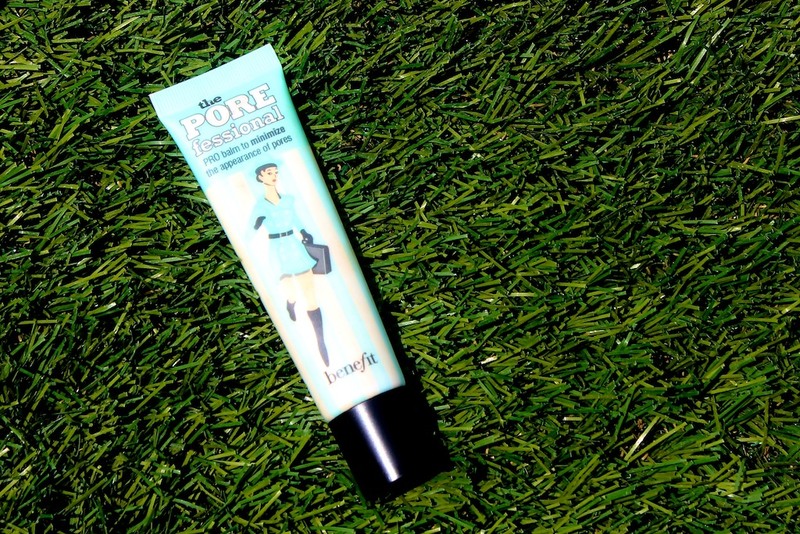 I loved the Porefessional and am yet to find another primer as good, although the Chanel one does sound tempting! I too luv luv this one! I tried this on my skin and I just HATED the feeling!!! And also you could see it on my skin, maybe because of my darker skintone, but it just didn't appeal to me... hopefully they do a darker version of this and sort something out about the feeling, because the packaging is uber nice and I'd love to give it another go due to people raving about it!! I've tried this product but I don't think it does anything for my skin....it feels soft when I apply it but nothing else, I don't really see a difference on how my makeup looks either...I just like the smell of it haha! I see a lot of Youtubers use this as well. Sounds cool. I think I'll give it a shot. I'm on the fence about whether I like this or not at the moment. Thankfully it doesn't break me out and I'm definitely going to give your suggestion applying later in the day when things start to get a bit oily! I've used this primer before and thought it was great! I have quite oily skin so it stopped my T-zone becoming shiny throughout the day. such an excellent review, thank you! Laura! Been following your blog for a while, but never commented until now...because...I feel exactly the same way about silicone primers!!! I just could NOT figure out why I didn't like them..it is the consistency! ick!!! I have combination skin, like yourself, and I bought Porefessional to use on m t-zone. It wasn't until after I started to use the product that I noticed my skin got very horrible. I now have very bad breakouts TONS of blackheads and now cystic acne on my forehead where I apply the most Porefessional. While it does its job, it made my skin horrible. I only "just" used up the bottle and with some serious acne cream and lack of Porefessional product, I am noticing a HUGE difference in my acne situation. Hope this doesn't happen to everyone. i bought the porefessional a while back now as my pores are the biggest problem with my skin and i thought that the produce would help both in making them appear much less smaller whilst wearing make up and help in reducing their size in the long term. however, i now know it is simply for make up purposes but i still love it! i agree that the texture is very strange but i didn't know it was due to the silicones in it. i personally love the velvety feel you get when it's applied to the skin and the outcome is just wonderful for me! my pores look so much smaller and my skin a whole lot smoother! i'm glad you like it too laura! I have to admit it just a great job of mattifying and so far I've not had any problems from breakouts - though I should hope not for the price paid for it! There is a bargain version for a fiver from no17 - it has a similar finish and does the job pretty well too - despite the shivery silicone feel! Never tried this one before, but my current love is Garnier 5 sec Perfect Blur. It does work really, really, really well, without leaving my skin greasy and congested. Very light texture, and is a cheap alternative as well, especially if you use primer only now and then. I've been looking for a good primer, and this one has definitely caught my eye! Maybe I'll try it out next time I'm in Sephora!